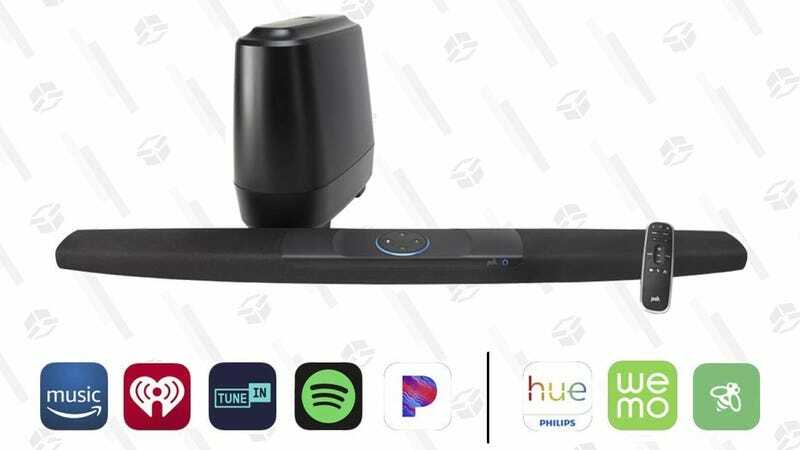 Polk Audio’s new Command sound bar looks like a speaker that swallowed an Echo Dot, but look past the built-in Alexa support, and you’ll simply find really good audio quality. It even includes a wireless subwoofer. Normally $300, it’s marked down to $249 today, so this is a great chance to upgrade your TV’s audio before your big scary movie marathon.